At some point soon, the A$AP Mob crew will release a follow up to their debut LP Lords Never Worry. It doesn't have a name yet, but we do get the first single with "Trillmatic"
"Trillmatic" features the crew's A$AP Nast rapping alongside Method Man atop a vintage-sounding hip-hop beat. 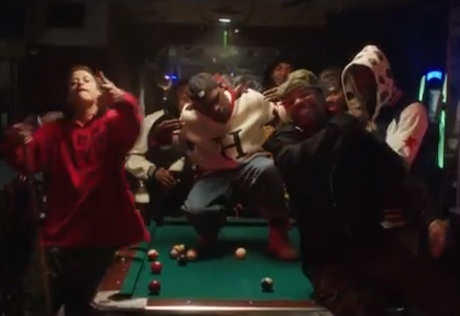 It's a straightforward single, with an equally straightforward video as both rappers mug for the camera while their crew holds it down in the background. As the single proves, sometimes keeping it simple is the way to go. Check out "Trillmatic" below. A$AP Mob's new album will arrive in 2014, with a March 4 release date.